Bylaws are the guidelines for operating your corporation. Bylaws define the rights and obligations of the corporation's directors, officers, and shareholders. 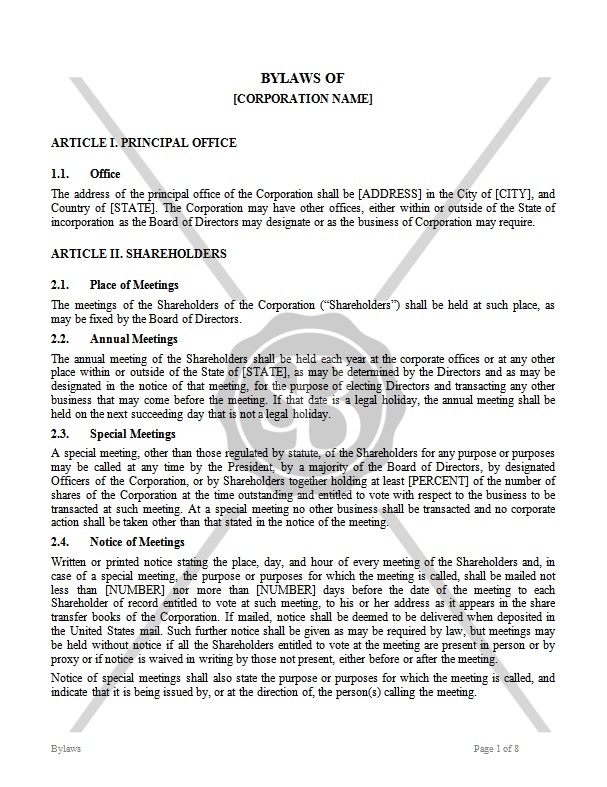 Use this document for structure defining of a newly-incorporated entity.